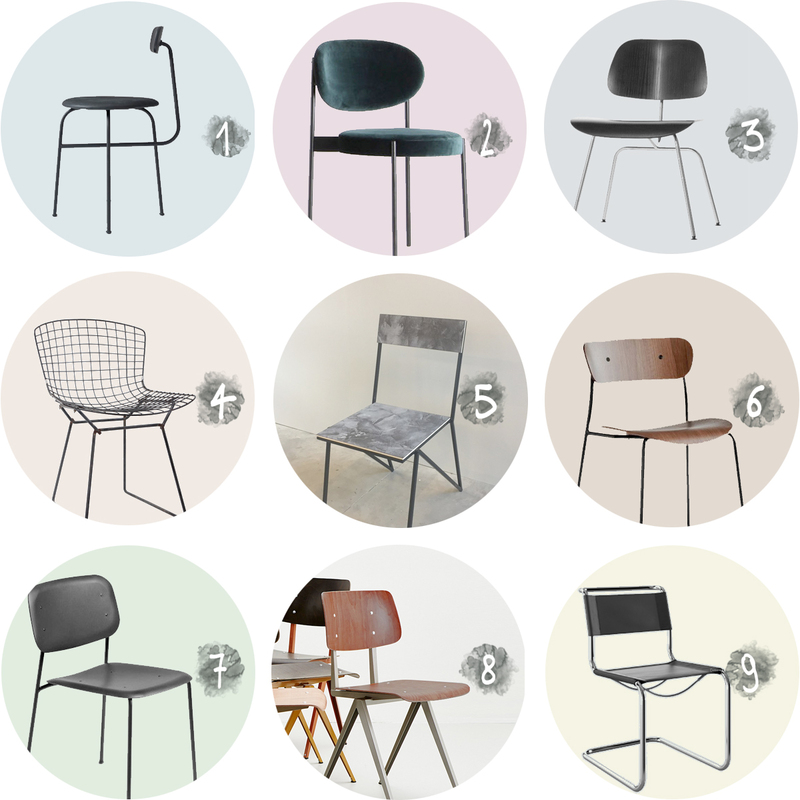 While I’m keeping my eye out on second hand websites and in thrift stores for an affordable replacement, I can’t resist dreaming about design chairs. So here’s a small selection of the chairs that I’m secretly wishing to appear underneath my christmas tree (I can keep dreaming I guess), some of which are just a little bit above budget, while others are far out of my wallet’s reach. What’s your favorite? Afteroom chair by Menu, for sale here. DCM chair designed by Charles and Ray Eames, order it here. Gerrit dining chair in Concrete Stuc by Grint. Find it here. Pavilion AV1 chair by &tradition, get it here. Soft Edge P10 chair by Hay, available here. The re-edition of the Galvanitas S16 chair, buy it here.